At this point in the process, you have your niche blogging topic and your domain name. The next step in the process of setting up a profitable blog is picking a hosting company. With all of the different options out there today, it can get confusing, so let’s take a look at what you really need out of your hosting provider as you start your profitable blog and your business. The following article is going to provide my suggestions and experience as it pertains to web hosting and web hosting providers. First, for those of you that are not already familiar with web hosting, what is a web hosting company? Simply put…a web host rents out server space to you and makes that information available on the web. By renting space in these large data centers, you are able to make your content visible to the world in your search to create a successful blog. You have to choose a web host provider if you are going to have your WordPress blog with your own domain name. When you use free services such as WordPress.com or Blogger, you are using space on their data centers and you have to use their domain names. Using your own domain name and servers gives you the freedom to realize true success through blogging. For the purposes of this series, I am going to recommend that you keep your domain names with a different provider (we used GoDaddy in the previous step) than your web hosting company. The reason for this is very simple. If you ever want to change your hosting provider in the future due to any number of reasons, it is much easier to do so when your domains are not tied to that company. Switching hosting companies can be a relatively easy process when you do not have to worry about your domain names. When you start looking at different hosting companies to host your WordPress blog, there are several aspects you need to look at before dropping your hard earned money on server real estate. Price – Everyone has a limit on what they want to spend. Luckily for you, there are a lot of really affordable options when it comes to web hosting. Typical web hosting plans are going to start around 5 bucks a month and go up to around $12. For beginning bloggers, plans in this price range should suit you perfectly as you continue to grow your readership and traffic. You are making an investment in your future by using your own domain name and host company, but luckily…at this point in time…the investment is pretty small. 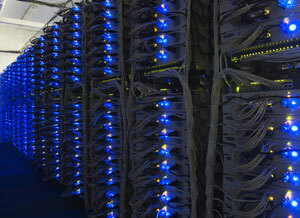 Updated Technologies – Your web hosting company needs to keep up to date on all of the latest web server technologies. I know what you are thinking…I have no freaking clue what those technologies are…much less what version they should be running! That’s ok…almost 99% of all of the reliable web hosting companies out there are completely up to date. Up Time – While most companies are going to claim 99% up-time on their website (who would advertise 75%? ), I would do some preliminary web research to see what other website owners experiences are with the host in question. Any down time (periods of time where your website is not available to your readers due to server issues) can really hurt your progress and bottom line. If you see A LOT of downtime in reviews of that host, I would avoid them and move to the next. Nothing is more annoying than down time issues while you are trying to grow your site. Domains, Traffic and Space – With most affordable web hosting options out there, you are going to get unlimited amounts of all of these (or more than you could possibly use). When you are choosing a web host for your WordPress blog, make sure you have plenty of room to grow for the future. I have had a checkered experience with web hosting from the beginning, so hopefully my experience can help you avoid the same headaches that I have had in the past. Like most beginning bloggers, I originally setup a Blogger account and got to writing. After about a weeks worth of content production, I realized that Blogger was not going to fit my needs, so I went in search of a web host. I started off with Hostmonster.com to handle my domain and hosting needs and it ended up being a nightmare. At one point in time, I actually had a 2.5 day down period. During that time, they did not even move to a backup! They were…by far…my most frustrating problem when it came to blogging and it was completely out of my control. After multiple down-time occasions just like that one, I decided it was time to get away from Hostmonster and find another host that would be able to deliver reliable service. The move was a complicated one as I had my domain name tied to my Hostmoster.com account. I was able to move all of the information safely to another hosting provider, but getting that domain moved was a different monster all together. This is why I recommend hosting your domain names separate of your blog’s web hosting company. By taking that step, you are preventing this situation and saving yourself money in the future (you still have to pay for the hosting during that period you are moving your domain name). After Hostmonster, I moved all of my information over to Hostgator. Hostgator provided reliable hosting for my blogs for a long time. With very minimal downtime (and great reaction time/support if something did come up), I would consider Hostgator a great hosting company for beginning bloggers. During my time with Hostgator, my traffic on multiple blogs continued to grow to the point where I needed some faster servers and a more “enterprise” solution for my hosting needs. I now had a viable company that I was running, so a little bit more personal attention was needed to bring my blogging to the next level. When it came to decision time, I chose Sliqua (you can even see a screenshot of my MTB homepage on theirs!). Sliqua provides incredible support, speed and reliability that is needed for top level blogging, but you pay for it. What Is My Recommendation For New Bloggers? Here the route that I would take if I had it to do all over again. First, I would register my domain names through GoDaddy and then pick up a hosting account with HostGator. You are able to keep your domains separate from your hosting account and both companies do an incredible job. By doing this…you should be set for your first couple of years of blogging until your needs change. Once you hit the big time and start looking for more expensive hosting options, I would hook up with a company like Sliqua or invest in your own dedicated servers. Luckily, you will not have to worry about this until some time down the road, and you can get to posting that juicy content on your blog right away with a reliable set of resources. Now that you have your domain name and web hosting provider, we are going to need to setup your DNS name servers and your WordPress installation. That is going to be handled in the next How To Start A Blog article. Previous ArticleSo You Blog, So What? I say that the most important thing to check before making an order in any hosting company is the uptime level, you need at least 99.9% uptime guarantee otherwise you have to leave it. Another very cruical point is the support, Does the company have full handful support or not? are they solving things out and providing help? Great tips.Really helpful for me.Thanks for sharing it..
Great tip! A great uptime is also need to be considered, 99.x percent of web hosting uptime is something that we should consider. choosing a web hosting company might be a bit tricky. All of your criteria is very important in choosing a good hosting.